Would you trade your wallet for whats behind Door Number 2? I didnt think so, but you might be interested in the makeup of a bridge deal. For example, what are the chances of all four hands being balanced? Or a deal having a void suit? Or a seven-card suit? Or various other items of interest  or noninterest for that matter. Check out the following tables for answers. *The formula is 52!/(13! )4 which means 52 factorial divided by 13 factorial to the fourth power. The factorial of a number is the product of all integers from 1 through that number. See my article Mapping Bridge Deals for a more detailed explanation of this calculation. *The shape of all four hands. There are 37,478,624 specific dealprints; but all my references are to generic dealprints, which reduce the number to 393,197. Each generic dealprint contains 96, 48, 24 or 16 specific dealprints. See my article Dealprints and Matrices for an explanation. This table lists deal types based on general characteristics. Some terms may need clarification: Balanced includes generic hand patterns 4-3-3-3, 4-4-3-2 and 5-3-3-2; semibalanced includes 5-4-2-2 and 6-3-2-2; quasibalanced includes 4-4-4-1 and 5-4-3-1. Symmetrical means that a like rotation of each specific hand pattern produces the next hand pattern. The following 14 tables show the chances of each specific suit length from a void through 13 cards. Each table caption shows the average number per deal, and the table lists a variety of pertinent holdings. The shorthand 1+ voids means at least 1 void. Ostensibly missing entries (e.g., 11 voids) are impossible. The flattest deal (each hand 4-3-3-3) has a freakness of zero, and the wildest deal (each hand 13-0-0-0) has a freakness of 80. All others fall in between, with the great majority on the low end. The average deal freakness is 11.9314. See Patterns and Freakness for an explanation. The following table shows a breakdown of deals by freakness (missing freakness numbers are impossible). 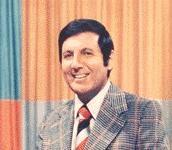 Photo is Monty Hall of the old TV show Lets Make a Deal.